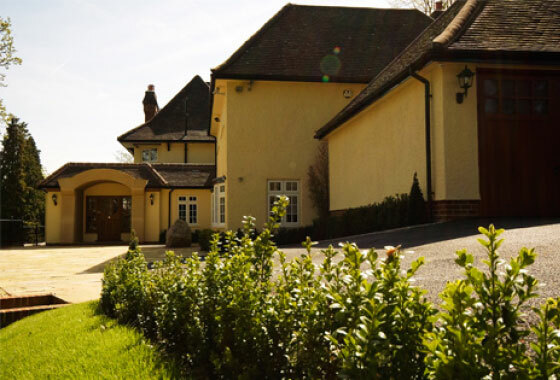 A phased development including extension and alteration of the existing house and the addition of a basement leisure suite and new outdoor swimming pool. 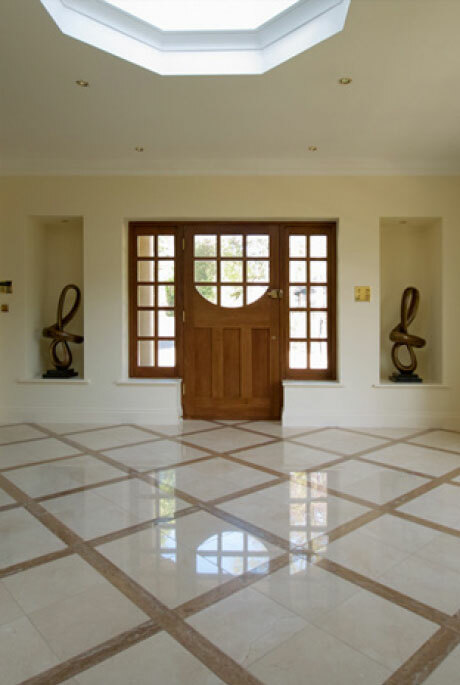 The first phase of work was to make the existing house habitable and this including total renovation and refurbishment throughout along with the introduction of a new door. As the house had developed over the years the previous front door had become lost and rather hard to find, our proposals include the addition of a new Voysey inspired front entrance that is clearly visible from the driveway. 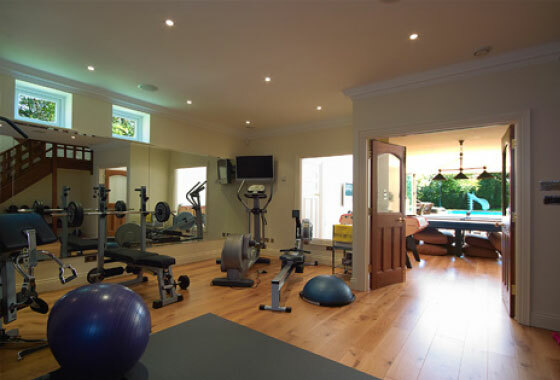 Once our client and their family had moved in to the refurbished house we commenced phase 2 which was to add a basement level leisure suite (including a gym, bar, pool table, table tennis table, sauna and changing rooms) and an outdoor pool. The area for the new pool was created by cutting into the naturally sloping site and the resultant retaining wall also offers privacy to this area. The roof of the basement extension provides a new outdoor terrace which overlooks the pool and includes an area of sedum planting.